10 oz. 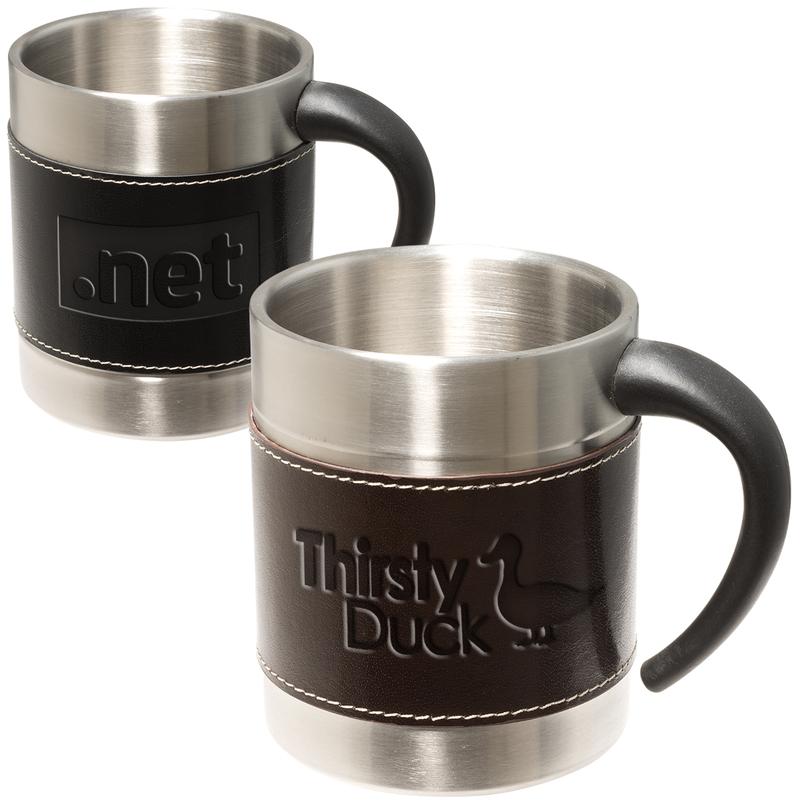 double-wall stainless mug with bonded leather sleeve. Leather sleeve removes for washing. This item requires a minimum quantity of 100.